Sunday, Nov 24 Virtual Vision FM presents Nick Humphries!! Join us for a show of readings and empowerment with Nick Humphries Psychic Medium and Healer!! Nick has over 24 years of experience and has always had a link with spirit, even from a very young age. He used to see spirit in his bedroom and various other places that he visited and at the schools he went to. As a boy he knew he was different but kept it quiet and often found himself on his own. Nick has spent many years developing to enhance his link with the spirit world and to understand more about the journey that he was taking. 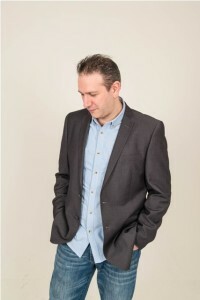 He has gone on to work on the platform in churches and on the big stages of theatres across the UK, India and Norway as well as hosting his very own online radio show called “The Feel Closer to Spirit Show” on Blogtalk radio, visit http://www.blogtalkradio.com/feelclosertospirit . Nick continues to do readings and demonstrations at Mind, Body & Spirit venues throughout the UK and abroad, and has acquired himself an international following.